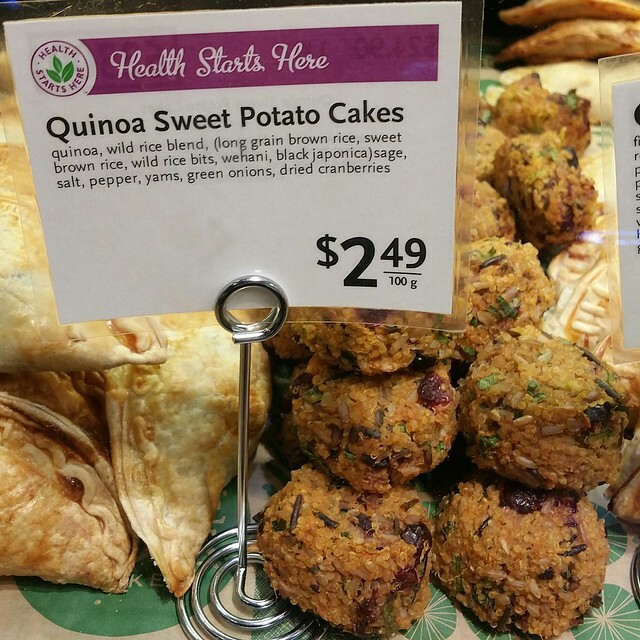 Got back from Whole Foods at Cambie and 8th where I had "dinner" -- that is, my friend put together a dinner plate from their $2.49/100g hot food selection while I looked for something more interesting... and found it! 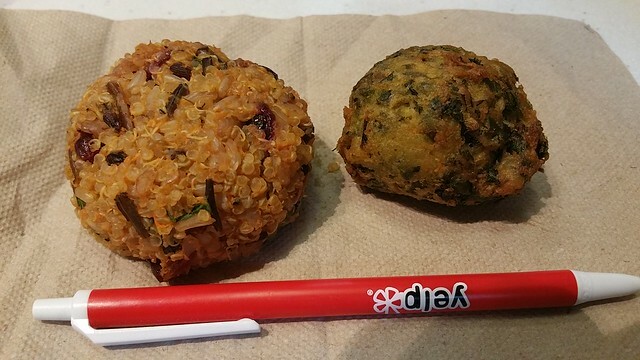 In the cold salad deli area, there were the these Quinoa Sweet Potato Cakes that wer colourful and fun-looking, and turned out really decent. 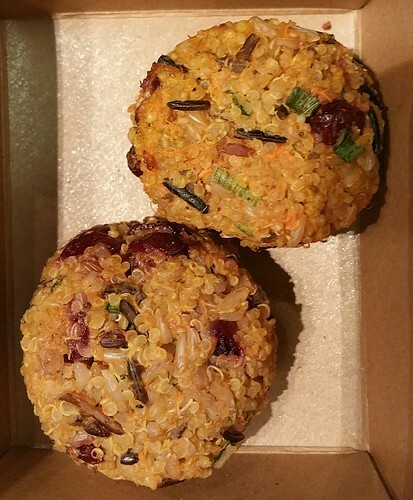 It's got tons of ingredients including the intriguing wehani rice (which flavour and aroma was, to be honest, probably completely hidden by the medley of other ingredients) and use of yam and dried cranberries to make this an actually rather sweet rice ball. Came salad-chilled from the refridgerated counter, and was moist. May have been better hot, but it was definitely fine the way it was. 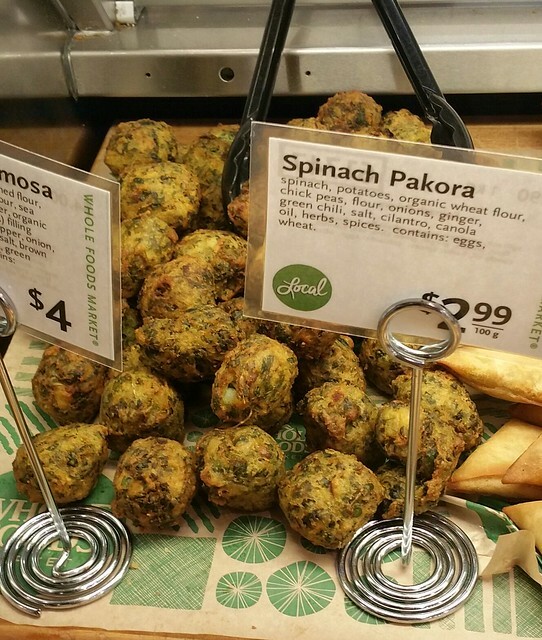 Also tried was a Spinach Pakora, which was terribly lacklustre. This is definitely the sort of thing you need to eat not only hot, but freshly fried. Wait too long or let it sit and the flavour experience is just tedious.